I reviewed the Duncan Metropolis a few weeks back. 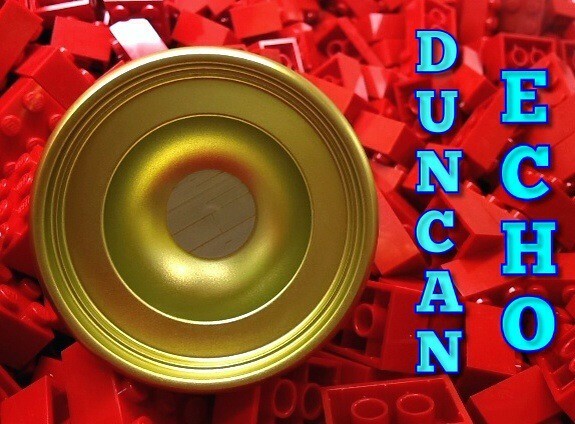 And like the Metropolis, the Duncan Echo is another one of Duncan’s affordable all metals. The aim, it appears, is to offer a modern unresponsive throw at a fraction of the cost. Mission complete! There were many good qualities to the Metropolis, but I didn’t absolutely love the Metropolis, maybe it’ll be different with the Echo. It sure looks promising! Let’s take a look! As mentioned, the Echo is part of Duncan’s affordable metals line. In light of that, there are a few things I have come to expect. I talked a lot about my frustration with the packaging in the Metropolis review. Well, the Echo has the same packages. I’ve ranted already about that so I won’t anymore. Like the Metropolis, nice bright solid colors on the Echo! I love that gold and it shines very nicely in the sun! I’m also a fan of the grooves which cover most of the body, their purpose to reduce friction on grinds. I’m a little worried the gap may slice through strings, being that the one on mine is a little on the sharp side. Not razor blade sharp, I just think a little better machining in rounding the gap nearest the bearing seat might have done the trick. Overall, the Echo is an attractive organicesque (a word I made up) shaped throw. And it’s shiny! On a throw the Echo plays pretty solid, but there are a few things that could have been done to enhance the Echo’s playability in my opinion. But let’s first talk about the good stuff. 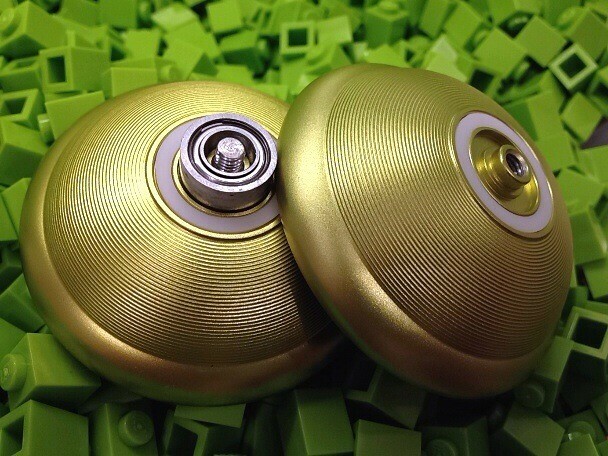 First, the Echo is a very comfortable yoyo. It’s large, mostly organic, and just all around comfortable feeling in the hand. It’s got a very nice weight to it as well, not too light but also light enough so it doesn’t need to be pushed through tricks. The spin times are fairly decent, allowing you to complete those longer combos. There are many features to the Echo that competition players are looking for. And now to the “Not so great” critiques. Let me preface this paragraph by saying that all the comments said will be concerning the Echo without its caps. That said, the Echo was a little unstable. We’re not talking crazy unstable, it was just at times I had to really watch it from not tilting over too much. I threw a simple front style combo a few times over and time and time again the Echo had to be forced back straight. I think there could be more stability by adding some rim weight. From the profile shot the Echo appears to have large beefy rims and lots of rim weight, but in fact they’re not beefy and there’s next to no rim weight. A look inside the cup area will show a false wall. I’m fairly certain the reason for this is so there’s a solid foundation for the caps. Most of the weight is sort of balanced between the middle and center, with more weigh leaning towards the middle third. Another possible fix could have been to make the Echo a more mid-sized or even undersized yoyo. Again, not horrible, but it could have been executed better. In addition to having a false wall, there’s also no IRG to speak of. I don’t personally do many thumb grinds, and it’s rare to see any performed on stage anymore, so this really isn’t a big deal to me and some. However, there is a nice little bird pool like cup, in which you could pull off some very cool top sort of tricks, as seen performed by Duncan Crew’s very own Kota Watanabe.There was some vibe, which was more noticeable on grinds, but nothing too horrible. Now let’s briefly talk about the caps, which are in fact the same as Freehand Zero caps. I’m a little torn with them. When put in the Echo has more stability, however, I prefer the weight overall much more without the caps in. I’m glad there’s the option of the caps, but I’m not sure they would have even been necessary if some minor adjustments had been made to the weight distribution. As critical as I’ve been, I will say this: A few weeks ago I reviewed the Duncan Metropolis; the Echo performs at least two times better in my opinion. I like what Duncan has done with this series of affordable metals. 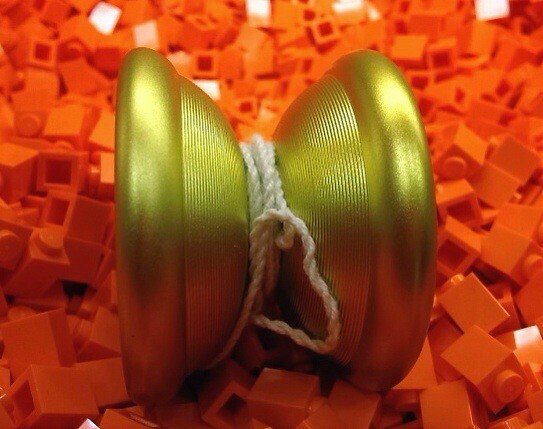 The Echo is yet again another great throw for anyone who doesn’t want to brake the bank but still wants something that plays well. With the standardized bearing and response you can even upgrade the performance with a better bearing and flowable silicone. What’s not to like about that? I recommend the Duncan Echo for all players. It’s not your Grandpa’s Duncan! Go pick up an Echo at any of your favorite online retailers and Throw Duncan! Written by Nathan “n-mart” Martsolf who just wrote a review… wrote a review… a review… I’m hilarious. You might want to try putting in a center-trac bearing to fix the stability. I had the same issue with my raptor, and that fixed the stability problems. Now it’s up there with my Chief and Genesis. Dead smooth, great spin times and great play feel. Affordable metals, eh? 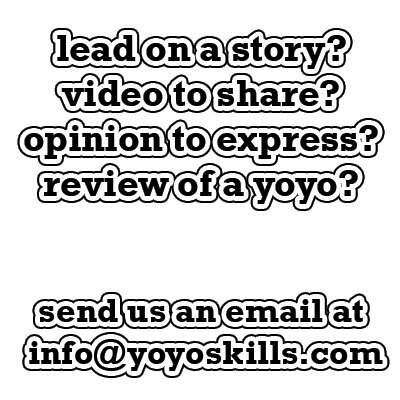 What happened to MagicYoYos?